The notices of suspicion were sent to Russia, a copy was handed over to his lawyer. Prosecutor-General of Ukraine Yuriy Lutsenko has said that his office suspects former President Viktor Yanukovych of committing a treason. He said this on 28 November during a break in a court session where Yanukovych is questioned by video conference. 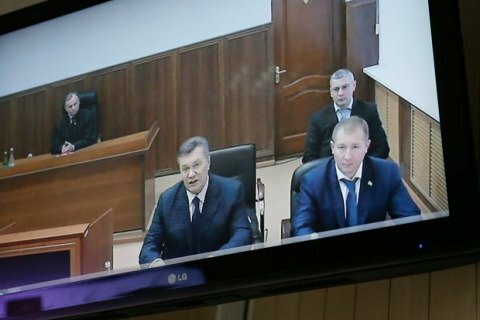 The chief prosecutor said Yanukovych committed high treason on 1 March 2014, while staying on the territory of Russia, by issuing a written request to Russian President Vladimir Putin to use Russian troops on the territory of Ukraine. Subsequently, Lutsenko said, that led to the loss of Crimea by Ukraine. According to Lutsenko, the suspicion note on Monday was sent "to all known addresses" of Yanukovych residence in Russia. In addition, the representatives of the military prosecutor handed a copy of the suspicion note to the lawyer of Yanukovych in Kyiv's Svyatoshynskyy district court.